In February 2016, The New Museum will present a major exhibition of the work of Anri Sala (b. 1974, Tirana, Albania), whose innovative and rigorous work has garnered critical acclaim. Highlighting Sala’s poetic and conceptual approaches to music, sound, and architecture, the exhibition will feature elaborate multichannel audio and video installations that will unfold on three of the Museum’s floors, composing an experience specific to the New Museum. The artist’s video works often depict fragments of everyday life that double as portraits of society, and in his instal­lations, Sala exposes how communication can occur outside the limits of language as well as how sounds can affect our perception of time and space. In recent works, Sala has focused on forms of classical music, and the exhibition at the New Museum will include his striking two-film installation Ravel, Ravel, which debuted in his solo presentation for the French Pavilion at the 55th Venice Biennale in 2013. Though Sala has exhibited internationally since the late 1990s, the exhibition at the New Museum will mark his first solo presentation at a New York museum. The exhibition is curated by Massimiliano Gioni, Artistic Director, Margot Norton, Associate Curator, and Natalie Bell, Assistant Curator. In January 2016, the New Museum will host the first solo museum presentation in New York of the work of artist Pia Camil (b. 1980, Mexico City). In her paintings, sculptures, performances, and installations, Camil draws inspiration from the inner-city landscape of her native Mexico City and from the history of modernism. Her projects expose the inherent problems as well as the latent possibilities within urban ruin, exploring what she refers to as the “aestheticization of failure.” At the New Museum, Camil will present a new sculptural installation created specifically for the Lobby Gallery. Inspired by the modular display systems used by commercial vendors, the artist will create a succession of gridwall panels with built-on fixtures commonly intended for store display. Composed of grids, lines, and geometric shapes, the structure will form a volumetric drawing within the space of the gallery. Camil will then invite the public to participate in the ongoing creation of her piece, encouraging visitors to exchange their own unique items for others in the installation, thereby transforming the gallery into a “shop” in which the monetary value of an object is supplanted by its personal history and significance (more information and dates for participation). The exhibition is curated by Margot Norton, Associate Curator. 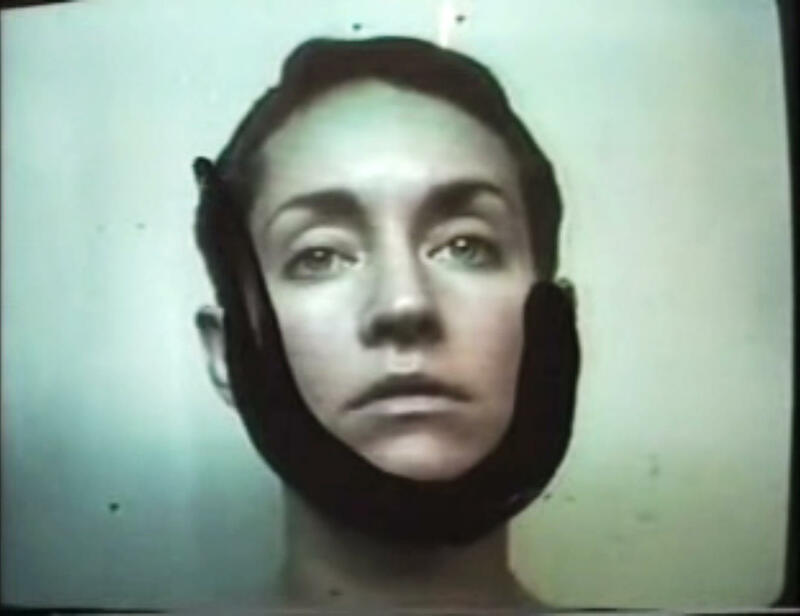 Working across video, painting, and performance, Cheryl Donegan (b. 1962, New Haven, CT) explores the production and consumption of images in popular culture, contemporary vernacular architecture, and art history. In her performance and video work spanning the early ’90s to the early ’00s, Donegan often used her body as an apparatus for mark-making, parodying the conventions of commercials and music videos while considering the politics of self-representation. Over the last decade, she has continued her exploration of the mediated image and her interests in surface, compressed space, and the indexical relation of the mark to the body in paintings and sculptures produced in her studio as well as in videos distributed on social media. Her New Museum residency and exhibition on the Fifth Floor will be presented as part of the Education and Public Engagement Department’s R&D Season: LEGACY and will tackle the ways and means by which our connections to the past are produced, fabricated, and renewed, particularly in fashion and art history. Donegan will present works from throughout her career, bringing together key projects that have been generative of new pieces in her oeuvre. She will also premiere a collection of outerwear in collaboration with Print All Over Me, which will be unveiled in a fashion show at the New Museum in early April 2016. Throughout the run of the exhibition, the Resource Center will serve as a concept store that will display garments, drawings, prints, and textiles Donegan has produced alongside items she has sourced from websites such as eBay, engaging in a process of “refashioning the readymade.” The exhibition is curated by Johanna Burton, Keith Haring Director and Curator of Education and Public Engagement, with Sara O’Keeffe, Assistant Curator. The concept store is curated by Burton with O’Keeffe and Alicia Ritson, Research Fellow. In spring 2016, the New Museum will present the first museum exhibition in New York of Andra Ursuta (b. 1979, Salonta, Romania). Ursuta’s works span drawing, painting, sculpture, and installation and weave art historical homage with a homespun, anarchic sensibility that distorts folk traditions, caricatures economic symbols, and critiques gender expectations. Ursuta’s visual language thrives on paradox and commingles the monumental and the forensic. Dark and unsettling, her works often allude to her own personal history or expose or challenge the vulnerability of the human body through threatening contraptions, architectures, and figures. Ursuta’s most recent sculpture series, Whites(2015), takes the form of anthropomorphic white obelisks—with eye sockets and nostrils cast from human skulls. These austere, ghost-like figures, which collectively resemble a group of gravestones, are seated on chairs whose designs reference periods of European colonialism. In Commerce Exterieur Mondial Sentimental (2012), two life-size marble figures adorned with coins gaze defiantly at the viewer. Informed by a Socialist-Realist aesthetic and a news image of a Roma woman being deported from France, they evoke lifeless mannequins trapped in an economy in which the value of both human beings and commodities are determined by foreign powers. For the Fourth Floor of the New Museum, Ursuta will create a sculptural installation that combines new and recent works. The exhibition is curated by Natalie Bell, Assistant Curator, and Massimiliano Gioni, Artistic Director. The New Museum will present the first New York survey show of the work of Nicole Eisenman (b. 1965, Verdun, France). One of the most important painters of her generation, Eisenman has developed a distinct figurative language that combines the imaginative with the lucid, the absurd with the banal, and the stereotypical with the countercultural and queer. In her narrative compositions she draws as much from art history as from popular culture, making way for accessible and humorous, yet also critical and poignant images of contemporary life. Gathering a body of work produced over the last two decades, “Al-ugh-ories” pays special attention to the symbolic nature of her depictions of individuals and groups and highlights how the allegorical permeates her oeuvre and fluidly ties the fictional to the autobiographical. Considering Eisenman’s dedication to the history of painting and the ways in which she references artists as diverse as Giotto, Francisco de Goya, Paul Cézanne, Pablo Picasso, and Edvard Munch, the show will also underline how her approach to painting involves a deliberate attempt to counter accepted historical hierarchies through wit and irreverence. Her preoccupation with the figure and the complexity of its gestures and form has in recent years also resulted in a number of large-scale plaster sculptures, a selection of which will be included in this show. With proportions that exceed human scale, these bodies—like those in Eisenman’s paintings—act out familiar everyday occurrences such as eating, sleeping, walking, or making love, while also exposing human desire to be equally raw and awkward. The exhibition is curated by Helga Christoffersen, Assistant Curator, and Massimiliano Gioni, Artistic Director. This exhibition will mark the first museum presentation in New York of the work of London-based artist and 2008 Turner Prize nominee Goshka Macuga (b. 1967, Warsaw, Poland). Macuga’s practice typically applies in-depth historical and archival research to an interest in the evolving relationships among artists, institutions, politics, and communities. Occupying the New Museum’s Second Floor galleries, the exhibition will bring together a selection of Macuga’s most significant projects from the past five years, including several of her large-scale tapestries, which “weave” people together in their reimagining of demonstrations, public assemblies, cultural events, and meetings of minds. For Of what is, that is; of what is not, that is not (2012), the artist’s commission for dOCUMENTA (13), Macuga presented two tapestries that were shown simultaneously in two separate locations: Kassel, Germany, and Kabul, Afghanistan. The two black-and-white panels, with their composite stitching-together of figures from disparate yet interlocking communities, illuminate the elusive relationship between historic documentation and truth. In Preparatory Notes for a Chicago Comedy (2014) Macuga expands on the function of demonstration and performance in her tapestries, presenting a stage set for a production based on an unpublished play by eccentric German art historian Aby Warburg. As with many of Macuga’s projects, this piece explores the complicated and oftentimes fraught relationship between art and society throughout history that continues to resonate in the present. The exhibition is curated by Margot Norton, Associate Curator, and Massimiliano Gioni, Artistic Director. The New Museum will present a new installation by Cally Spooner (b. 1983, Ascot, UK), which will be her first solo and institutional presentation in the United States. Marking an important shift of duration in her work, “On False Tears and Outsourcing” will bring Spooner’s live performance practice into the format of an exhibition. Responding directly to the space of the Lobby Gallery—and using it as a readymade pavilion—Spooner’s project will take the gallery’s architectural similarity to industrial glass structures and office environments as a point of departure. By exaggerating the light and heat levels and introducing continuous disembodied sound, Spooner will engage directly with the mechanics of the space to create an intensified situation in which a group of performers will complete a set of tasks that fluctuate between competition and intimacy. Structured according to the logic of corporate development meetings, often referred to as “stand-up scrums,” this performance will also appropriate gestures from romantic movies and competitive contact sports. Interested in the pretense of the neutralizing effects of work environments and the concept of transparency—both conceptually and spatially—Spooner will look at the production of an “architecture of management” and the ways in which it imposes itself very physically onto the human body. The exhibition is curated by Helga Christoffersen, Assistant Curator. Beatriz Santiago Muñoz’s (b. 1972, San Juan, Puerto Rico) residency and exhibition at the New Museum will be presented in the Fifth Floor gallery as part of the Education and Public Engagement Department’s R&D Season: LEGACY. Santiago Muñoz’s engagement with LEGACY grapples with the ways in which our connections to the past are actively produced, maintained, and refuted, with an eye to utopian communities, institutional histories, and social choreographies. In this exhibition, she will premiere a new body of work, including a series of 16mm portraits of anthropologists, activists, and artists working in Haiti and Puerto Rico. Her projects blur the lines between ethnography, fiction, and documentary film and examine the symbolic and material histories of the local communities she observes with her camera. Santiago Muñoz’s films capture the aspirations and imagined futures of dissidents, feminists, and political organizers who are deeply invested in alternative models of being, using them as allegories for larger political possibilities in the region. This exhibition is co-curated by Johanna Burton, Keith Haring Director and Curator of Education and Public Engagement, and Lauren Cornell, Curator and Associate Director, Technology Initiatives, with Sara O’Keeffe, Assistant Curator.